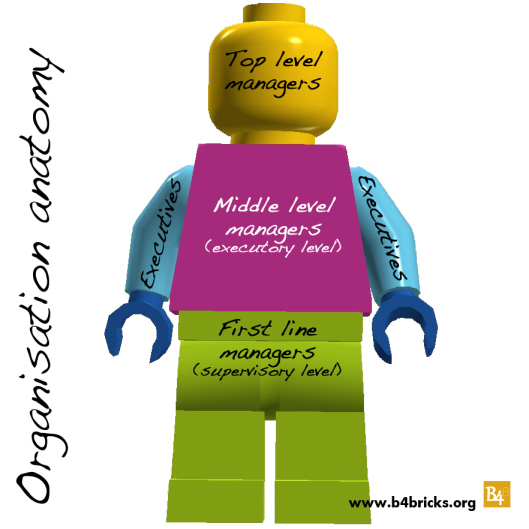 A large extend of organisational theory considered organisations from a mechanistic and traditional view. However, organisations can be seen much more like living biological organism. The etymology of the two words, organisations and organisms suggests that the two terms share something much more significant that needs to be considered and looked at: they both share their greek origin, ὄργανον – organon, “instrument, implement, tool, organ of sense or apprehension” but the word has been traced to descend by the Proto-Indo-European *werǵ- (“work, to make”). The history of the term well reflects the shift from the original biological meaning to the much more social nature of contemporary meaning: organisation, according to the English Oxford Dictionary, appeared in 14th century in French from Latin and originally it referred to anything related to a living being. Organisation referred to the development or coordination of parts in order to carry out vital functions. From its first appearance in 1425 when the Grand Chirurgie was published and recorded the term until late 18th century, the term organisation had a specific biologic connotation. But at the end of the 18th century a new meaning come to use, and organisation started referring to “the condition of being organised; systematic ordering or arrangement; specifically the way in which particular activities or institutions are organised.” In 1790 E. Burke wrote the Reflections on the Revolution in France where he explicitly stated that society was supposed to be managed as a living organism. This passage is considered as the first evidence of the shift from the biological into the sociological realm of the term organisation. Researchers attempting at describing organisation in terms of metaphors, used to refer to a machine related metaphor, which, in an industrial perspective, is certainly a functional image giving the idea of either the complexity of the organisation and its composition of several parts which work together to perform tasks that lead to the achievements of goals. However, such an image focus on the relationship between structures, goals and efficiency and reduces people and individuals working together as mere mechanic parts, leaving out their personality and all the social and relational dimension which are part of the values of any organisation. An organisation can be defined with the complex relationships among its parts that need to cooperate efficiently and effectively in order to satisfy all the needs of the organism to maintain the whole organism healthy and ensure its evolution, sustainment and improvement. It was in the 30s’ with the Hawthorne Studies conducted by Eton Mayo at the at the Hawthorne Plant of the Western Electric Company in Chicago that for the first time employees’ motivation and the relationship of people working together become leading issues, introducing a new view and new approach to organisation, leaving the mechanistic approach behind. It became clear, as Morgan writes (1997) that “ individuals and groups, like biological organisms, operate most effectively only when their needs are satisfied”. In the ‘60s’ the influence of a biologist, Ludwig von Bertalanffy, who theorised the open system approach: such an approach considered organisations as organisms open to the environment whose survival depend on the ability of the organism to establish a sound and advantageous relationship with the environment. But the open system approach also looks at systems as being made by a number of subsystems: individuals are systems themselves, teams are systems, departments are systems, branches are systems, Units are systems…. And to be productive subsystems need to cooperate as a system, where, regardless changes in the subsystem, the outcome is stable. As Morgan (1997) says “ Systems are like Chinese boxes in that they always contain wholes within wholes”. As Moorman & Kreitman said (1997) “the body of a successful organism behaves as a ‘whole system’: the wise body does not put its parts in opposition or competition with each other”: the synergy between the parts, the high level of specialisation and the ability to adapt quickly taking into appropriate consideration the situation and needs in order to perform efficiently, is what makes an organism fit for survival. The concept of the whole and unity seems to be a leading concept when it comes to describe well-functioning, either we can say, healthy organisms, as Lencioni writes “An organisation has integrity – is healthy – when it is whole, consistent and complete, when its management, operations, strategy and culture fit together and make sense” (Lencioni 2013). Kevin Kelly in an interview to J. Flower in 1995 suggested that “An organisation’s reason for being, like that of any organism, is to help the parts that are in relationship to each other, to be able to deal with change in the environment. That means that they are trying to anticipate the future in some way or another. This is true of the separate pieces of a cell, of the cells in a body, of the bodies in a society, of the societies in an economy. Each system is trying to anticipate change in the environment.” Organisations’ survival in such a perspective becomes a matter of adaptability. An organisations is a living and evolving entity which affects and its affected by the environment. Such an awareness of their own role and potential to impact on the inner and outer world is what the traditional mechanistic approaches has overlooked: interpreting an organisation as a machine, as ‘something that makes/produces things’ – to recall the word’s etymology – leaves out the self awareness that characterise organisms which even at the lowest level of evolution, interact and react with the environment and are able to determine their action consciously to improve their chance to survive and evolve. The more evolved the organism, the higher their level of self-awareness and their ability to determine strategies and actions and move from the basic production/survival-based view – as in a mechanistic interpretation – to a value based approach, where, beyond production, the organisation shares, creates and spreads higher values in their mission, vision and ethical behaviour which are made to improve organisations’ fitness and wellness and increase their chance to survive. Organisations grow, change, adjust, they have needs and can take actions. They are similar to any other biological entity, except for the fact that they are not biologically determined and therefore, they may have wider possibilities. Such a metaphor can be applied to the analysis of organisation especially when it comes to consider organisation in a holistic approach in order to determine if the organisation is healthy and observe those parameters that generally are attributed to organisms rather than organisations as goal-oriented social entities. Lencioni has identified some clear signs that indicate organisations’ health and wellness, “including minimal politics and confusion, a high degree of morale and productivity and a very low turnover among good employees”. Considering organisations as organisms leads to a number of new insights on organisations’ practices: organisations are seen in relation to their environment, which they can affect and are affected by. Organisations, to be productive and healthy need to define process that take into equal account the internal and external needs. Organisations are processes and not collection of parts and therefore they requires a different approach when it comes to understand the problems and the needs to be faced to allow the organism to function as a balanced and synergic unit. As in living organisms, organisations most the time have already the resources they need, for that reason, inducing a reflection where the parts considers themselves as a whole becomes necessary. Subsystems, made by different roles and positions, that goes from the top-level management, to middle-management, with executory functions, to first line managers, in charge to supervise the executors and executive members, need to cooperate not as machines, but as conscious self-aware entities because the real values of the organisation lies in the values that they create, share and build rather than in the production line: as a matter of fact, a production line can be replicated easily, but to survive and create the proper conditions of its survival, an organisation needs to capitalise on values and on the constant interaction with the environment and the inner subsystems. And if in the body such cooperation and inter-communication is mediated and granted by neurotransmitters and complex exchange mechanisms among the parts, so organisations needs to improve practices that enact and mimic such complex mechanisms. In such cases, enforcing a strategy that improves the organisms’ reflection and exchange where all parts interact, express themselves, share ideas and visions becomes a vital exercise to improve the processes that can grant the organisations’ survival. Organisations needs to capitalise on their values and self awareness and consider themselves as conscious living and evolved entities that recognise both the subsystems and the environment and is conscious. Any method could be fit to help organisations, given that it it takes away the existing tensions by means of situated identities that allow a constructive process to take place where people can share and construct meaning and improve their ability to share ideas and communicate – like what happens in a LSP workshop, which, in such a perspective, acts like an effective exercise to improve communication among the part and restore – or improve – the neurotransmitters that allow the subsystems to cooperate as a whole and improve their chance to adapt to the environment, change wether needed and be fit and capitalise on the organism self-awareness and consciousness of being an active and holistic entity. Flower, J. & K. Kelly (1995) The Structure Of Organized Change:A conversation with Kevin Kelly in The Healthcare Forum Journal, vol. 38, no. 1, January/February 1995. Morgan, G. (1997) Images of organization. Thousand Oaks, CA: Sage Publications. Moorman, M. A. & Kreitman, K. B. (1997) The 21st Century Organization: What it will look like, and How to make it happen.